I've regularly tried to emphasize the role of the individual in the learning organization and the concept of Personal Knowledge Management. In my consulting practice, I want to provide support for individuals, teams and entire organizations, and I take the individual component very seriously. 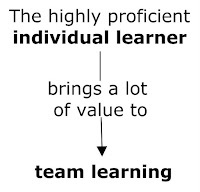 Individual learning is the foundation for team learning and beyond. Individual learning, however, isn't just a matter of self-reflection or independent learning. Individual learning can be enhanced through existing, long-standing approaches such as mentoring. While a minority of individuals may be highly self-motivated and embrace completely self-directed learning, I suspect that a majority of individuals could use some support to pursue self-directed learning and that support could come in the form of mentoring. Ideally, mentoring in a learning organization would not be simply a matter of individual professional development within the purview of Human Capital Management, but also an organization-wide strategy to support team and organizational learning. Mentoring can support individual learning, which in turn can enhance team learning. How? The individual who has spent some time reflecting upon what they have learned from an experience is like to contribute more value to a team conversation around that same experience. That individual is much more likely to come in and say things like "I could have done x instead of y and that might have alleviate this problem we encountered," or "I learned that I should really do x when faced with this kind of situation. Next time I'll know what to do." When individuals come into team learning conversations ready to discuss what they have personally learned, the conversation is likely to be richer, more honest and will contribute to more group learning. The group conversation isn't just an accumulation of individual lessons, but the discussion of individual lessons is likely to yield a larger conversation around team dynamics and team lessons. 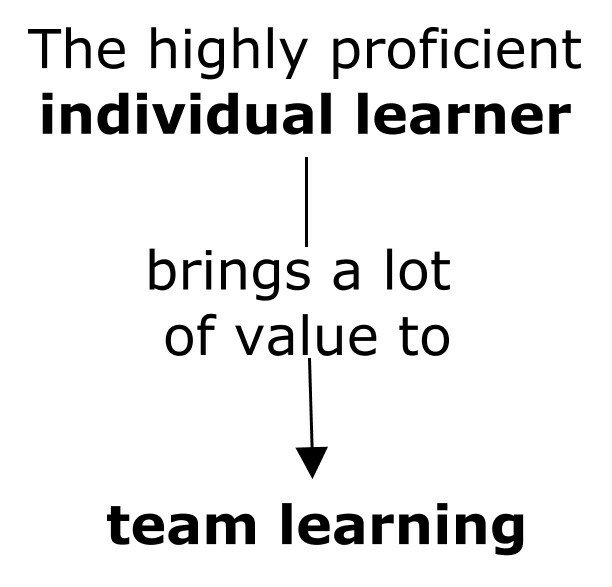 In this context, I see the role of the mentor as someone who supports individual learning and helps to strengthen those critical "learning to learn" skills. On top of that, group mentoring and mentoring circles can be used to further support group or team learning objectives.